Episciences Manufacturing Facility - McAlvain Companies, Inc.
18,446 sf concrete tilt-up building with 13,844 sf warehouse/manufacturing space and 4,602 sf 2nd level office space. 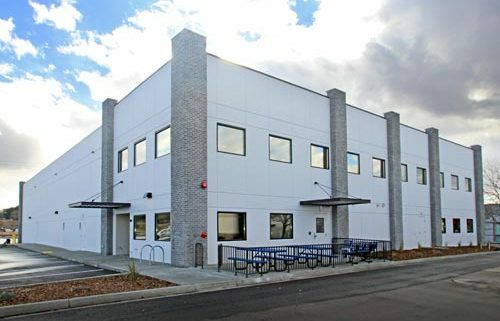 Interior details include loading dock, warehouse, clean room, mixing room, filling room, cartooning room, storage, breakroom, rest rooms, offices, conference room, IT & Research and Development. Interior finishes include metal stud interior walls, acoustic tile ceiling, carpet, vinyl composite tile (VCT) flooring and exposed concrete floors. Includes an exterior 308 sf patio with wrought iron fence, trash enclosure and 38 standard and 4 ADA stall parking lot with bicycle parking (2).